Wisdom is using imagination to understand information. 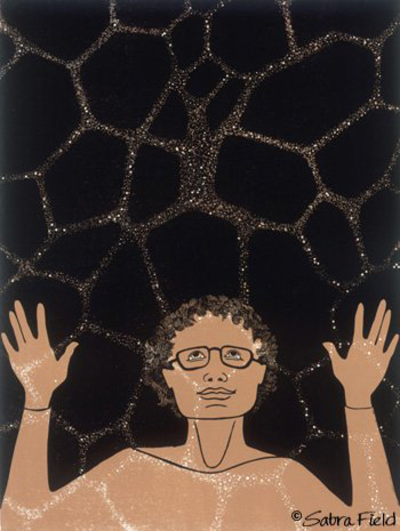 The figure is astro-physisist, Margaret Geller, standing in front of the infrared photograph depicting a slice of the universe which resembles the bubble pattern. Click here to order the entire suite as a set.